Hampton County School District 2 has announced its plan to make up the day missed on October 11, 2018 due to Hurricane Michael. Our teachers and leaders value the instructional time spent with students and are committed to ensuring the academic success for each child, each day and every classroom to be college, career and citizen ready. Based on the Board of Trustees decision during the October 16, 2018 Board of Education Meeting, the plan implemented is to extend the school day by one (1) hour for six (6) days. Please be reminded that our last make-up day from Hurricane Florence is Wednesday, November 21, 2018. We recognize that this may be an inconvenience for some families, but the safety and academic success of our students will always be our top priority. This message comes from the desk of our Superintendent, Mr. Martin Wright. Hampton County School District 2 will resume normal business hours on Friday, October 12, 2018 for all schools and the district office. Hampton County School District 2 Board of Trustees is inviting public input regarding the district's fiscal year 2019 budget. Click on the public notice clipart below to access the proposed budget presentation. Through the passage of Act 155 (now Act 207), the South Carolina General Assembly approved the removal of the exit exam as a requirement for graduation beginning with the graduating class of 2015. In order to facilitate the requirements of Act 207, Hampton County School District 2 has created a form that can be filled out by a petitioner who meets the requirements mentioned in the above paragraph. Please click the link below for the petition form and follow the directions for submission. Please contact Jloundia Johnson, Coordinator of Student Services at JohnJlo@hampton2.k12.sc.us or (803)625-5024. Parents/guardians whose children reside in Hampton County School District 2 attendance zone and would like to have their child(ren) transferred out of Hampton County School District 2, must complete a Student Request Release Form and submit to Jloundia Johnson, Student Services Coordinator, via email at JohnJlo@hampton2.k12.sc.us or (803) 625-5024. This form must be submitted by 4:00 P.M., May 31st. Once received, the request will go before the Board for consideration. After deliberation, you will receive written notification from the Office of Student Services. As we plan for our 2018-2019 school term, HCSD2 invite you to provide feedback regarding the draft Academic Calendars. Please select the one that you feel would serve as the BEST model for the organization to ensure a personalized learning environment of academic excellence. Feedback from our stakeholders (parents, community leaders, students, faculty, staff, and leaders) is critically important to the continued success of our schools. After you have viewed the calendars, please Click Here to make your selection. 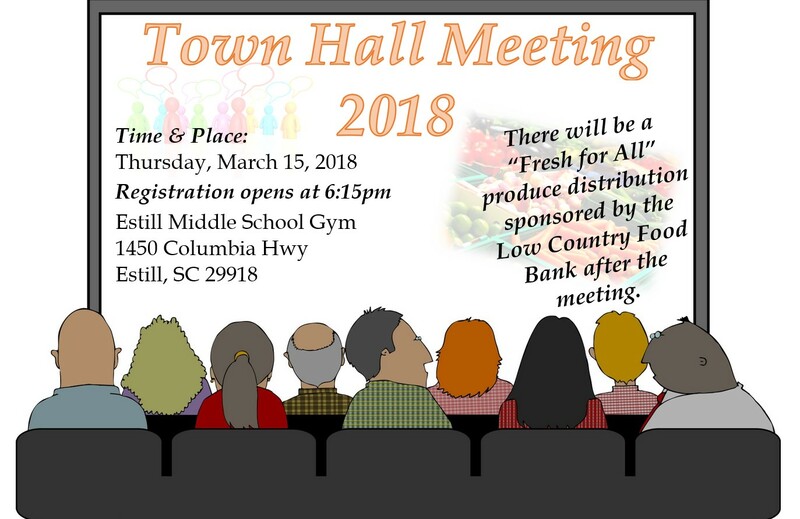 To commemorate the birthday of Dr. Martin Luther King, Jr., Congressman James E. Clyburn will host a “Town Hall Teach-In” entitled, “Winners and Losers” in the New Tax Law. The program will be held on Monday, January 15, 2018 at 3:00 pm at Park Union Hall, 719 West Magnolia Street - Hampton, South Carolina. If you are available, I would love to see members of Hampton County School District 2 present for the occasion. Light refreshments will be served at 1:30 pm at Park Union Hall prior to the Town Hall meeting. Hampton County School District 2 and the Estill High School learning community is proud to acknowledge senior William Mitchell for his historical accomplishment by being the first student to graduate college before walking across the stage of Estill High School. Mitchell is also the first student in Hampton County ever to accomplish this milestone. Mitchell is the son of Clayton and Lashonda Mitchell. He received his Associate of Science Degree from the University of South Carolina-Salkehatchie on Friday, April 28. Mitchell is expected to receive his high school diploma on May 30. He plans to continue his educational endeavors at Clemson University in the Fall of 2017, where he has received a full scholarship. Mitchell has also received other scholarships to support his educational journey which include: the Daughters of the American Revolution Scholarship, the S.C.A.T.A Scholarship (South Carolina Association of Title One Administrators), the South Carolina Black Mayors Scholarship and the Masonic Lodge Scholarship, to name a few. “We are proud of William and his many accomplishments, and look forward to his continued success in his future endeavors,” say school and district officials. At its March 21, 2017 Board of Education meeting, the Board of Trustees approved the 2017-2018 academic calendar. The first day of school for students will be August 17, 2017 with teachers returning for professional learning on August 10, 2017. 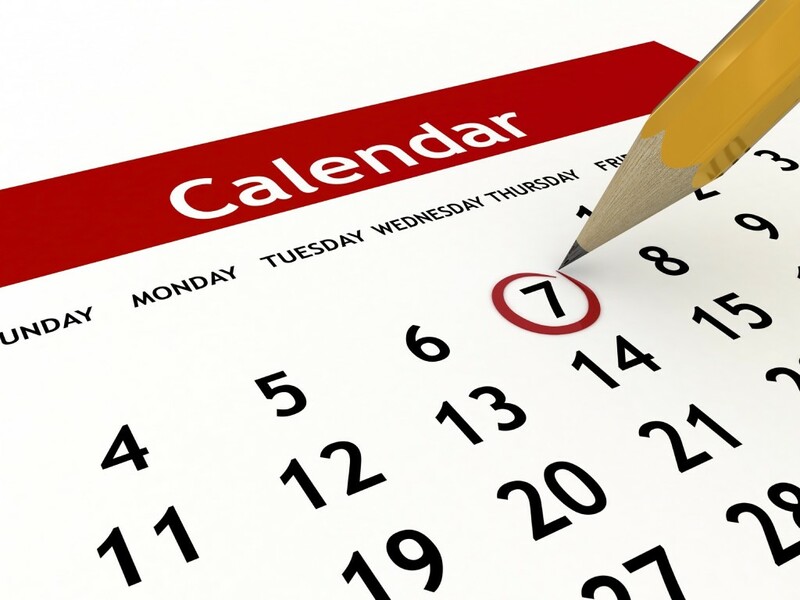 Click on the calendar click art below to gain full access to the approved academic calendar.